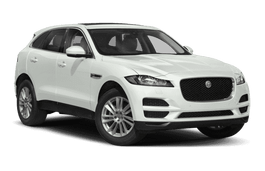 Correct Wheel Sizes, PCD, Offset, Rims and Tire specs for Jaguar F-Pace series. Hi,Steve,The rolling diameter you mean is the diameter of the tires?if not,can you explain it? The F pace svr (2019) has 21 inch wheels but I wish to order 20" for snow tires.. will an 'offset' of +40 be o.k.. I seem to have the rest of the details worked out. Hi,Lawrence,You can use 20'' wheels and tires.And offset 40mm is also compatible. Hi, I have a Jaguar F-Pace 3,0D First Edition with 22 in rims, looking to get some smaller wheels with winter tyres on, can you tell me what size rim/profile tyre I should choose to keep the same overall diameter as the 22's. Hi,Mark,Can you show your current tire size?Or you can use tire calculator in home page to get a same overall diameter tires size. Tyres (or tires,I’m in the UK) are 254/40 R22s. I have taken your advice and used the tool on the home page and think 255/50 R20s are the closest match. Thanks for your help and great website.